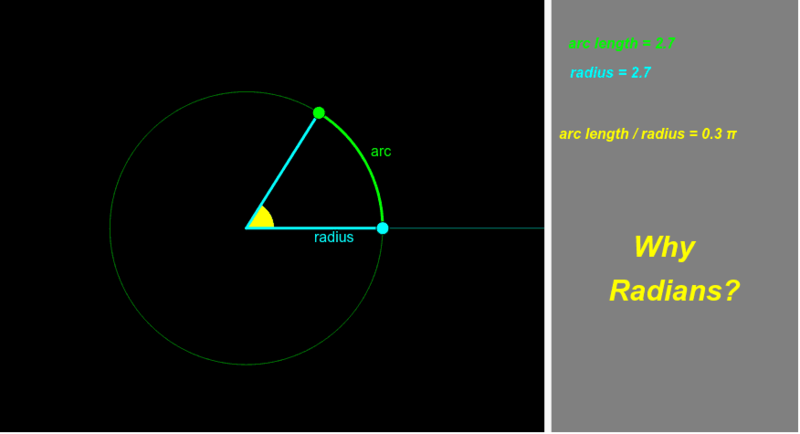 The diagram shows an angle, a radius and an arc. Drag the GREEN dot. Which of these 3 quantities changes and which does not? Drag the BLUE dot. Which of these 3 quantities changes and which does not? Imagine that the protractor had never been invented. The only mathematical tools you have are a tape measure and a calculator. Can you devise a way to measure angles? What questions could / would you ask your students based on this applet ?